For those of us who love riding two wheels in the dirt and who also have young family members, it feels natural to try to pull them into that same passion. I remember as a child experiencing the freedom that riding a bike brought me as I cruised throughout my neighborhood with friends, but I especially recall the excitement and mystery that I felt when my friends and I took those same bikes into the woods. I spent many summers afterwards in those same woods riding trails on my Schwinn Stingray (banana seat and all), visiting ponds full of snapping turtles, and later building jumps to emulate the motocross tracks in my vicinity. This experience led me to race BMX throughout my ‘tween’ and teen years, later falling in love with the sport of mountain biking. You could never fully wash all the dirt off my hands, and I hope now to get my sons hands just as dirty! Here are some resources and info on organizations that can help get your kids into the dirt and competing if they are so inclined. In a rapidly growing digital world, we could all use a little more dirt under our fingernails. Aside from getting our kids to ride with us on a local trail ride, along with the parental coaching usually involved, we are lucky to live in a time when youth bicycle riding and racing organizations exist to help with the two-wheeled journey. Organizations such as USA BMX with its affiliated tracks and the National Interscholastic Cycling Association (NICA) with its state leagues and teams are here for this purpose. USA BMX is the national organization that sanctions local BMX (bicycle motocross) tracks, their races and their newly-founded coaching programs. Riders at local tracks can start as young as two. Many tracks have specific practice/race nights and at times run specific courses for young children on balance bikes. BMX racetracks are typically a one-time closed circuit set up with several jumps/obstacles and banked turns to help keep the speed going, running from around 900 to 1,300 feet in length. As mentioned, the separate practice night is often a great way to try it out and talk to other parents and kids involved in the sport. Many tracks also offer free one-day tryout programs and group or individual USA BMX certified coaching sessions. Spending time riding on or racing at a BMX track can have enormous benefits for a young rider. It is an excellent way to learn standing pedaling, which helps to develop core strength and sprinting ability. Learning to “pump” over the backside of jumps helps kids to develop timing and the ability to pick up speed without pedaling. The closest Capital Region BMX tracks are Tri-City in Schenectady and Catamount in Bennington, Vt. Other area BMX tracks include Kingston Point in Kingston, New Paltz in New Paltz, CNY in Bridgewater, and Grippen Park in Endicott. Moving from BMX to MTB, NICA began in 2009 with a mission to coach high school age mountain bike race teams in California. Since then, they expanded their mission to develop interscholastic mountain biking programs for student athletes across the United States. According to their mission statement, NICA provides leadership, services and governance for regional leagues to produce quality mountain bike events, and supports every student athlete to develop a strong mind, body and character through interscholastic cycling. NICA was instrumental in setting a successful model for league development, including a coaches training and licensing program that has been replicated at the state and local club level. With this framework in place, the New York Interscholastic Cycling League was born in 2012. Their mission is to establish and maintain safe, quality high school mountain bike programs. The New York league achieves this through coaching, fostering a sense of camaraderie and friendship through the teams, helping student athletes develop physical skills and skills of character such as mutual respect, empathy and good sportsmanship. According to Jason Cairo, executive director of the New York Interscholastic Cycling League, its affiliated teams are really a youth development program – using mountain bike riding and racing to help young people to develop mind, body and character. All students from grades six to 12 are welcome to join a local team without the need for a tryout. Students are not required to race, but it is expected that they make a contribution to the team – and to the community and environment. Many teams also assist local land managers in trail maintenance and building. 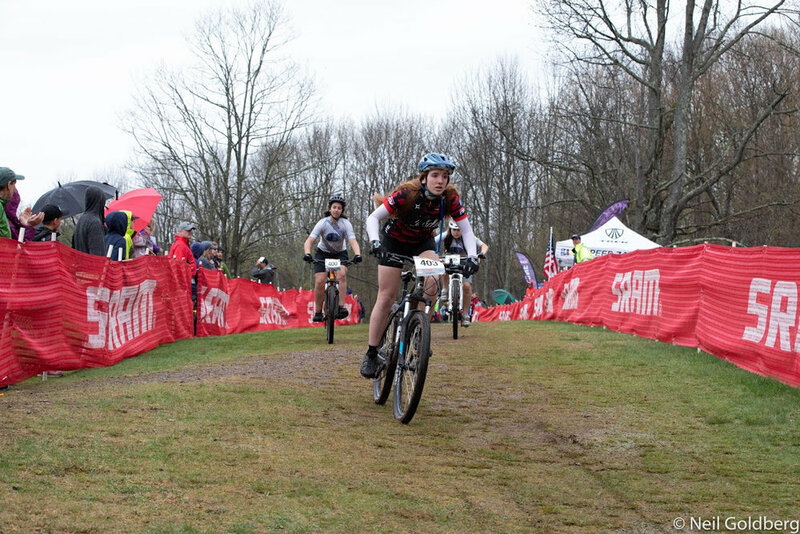 Upcoming events include the NYS Leaders’ Summit at Windham Mountain on Sept. 15-16, and the expansion of riding and racing programs, to get more young women into mountain biking. There are four NY NICA affiliated teams in the Capital Region: R-Cubed Composite, Niskayuna High School, Mohawk Composite, and Grey Ghost Bicycles Composite. Composite simply means they’re open to all and not a school-based team. The R-Cubed team started with one team member in 2013 and they currently have 19. The coaches emphasize the inspiration that members get while working with each other. Besides the physical skills, they see the development of “larger life” skills, such as dealing with events out of your control, perseverance and maintaining a positive attitude. The Niskayuna High School club team includes middle and high school students from the school district. The Mohawk Composite team (formerly HRRT) has students from the surrounding area. The two teams share a head coach and have five to six assistant coaches. Indoor training starts in January and in season training takes place along the bike trail for fitness and off-road at North Bethlehem Park, Central Park, Lock 7 and Luther Forest. Two-thirds of riders are boys, but there’s an increasing number of girls joining, and the teams developing more beginner trails access for new riders. The Grey Ghost Bicycles Composite team started 2018 with 12 team members and ended with 18. The team emphasizes the friendships gaining when riding and racing together. Coaching helps the athletes develop and achieve their goals, whether it’s competing or learning better bike handling skills. In the spring, the team practices weekly at Gurney Lane Bike Park. The NICA NY Race Series is every other Sunday from mid-April until early-June. Between now and January is an excellent time to join or start teams. They can use more help from adult volunteers, whether it’s coaching, building berms or teaching skills. To learn more, email jason@newyorkmtb.org or contact: USA BMX (usabmx.com); Tri-City BMX (usabmx.com/tracks/1889); National Interscholastic Cycling Association (nationalmtb.org); New York Interscholastic Cycling League (newyorkmtb.org); R-Cubed (rcubednica.com); Niskayuna and Mohawk (facebook.com); and Grey Ghost Bicycles (greyghostbicycles.com). Jim MacNaughton (jimmac66@nycap.rr.com) of Albany has been riding bikes in the dirt since 1979.